From the back cover: If you've ever wished you could take all of the knowledge of a master machinist and pour it directly into your brain, here's your chance. 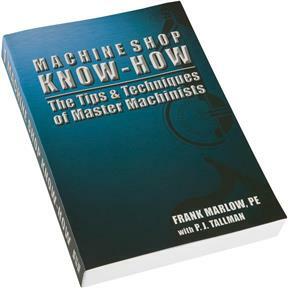 Packed with useful and practical ideas you won't find anywhere else, Machine Shop Know-How proves that there are no secrets in the machine shop, just information that is rarely documented - until now. With its focus on manually controlled machine tools, Machine Shop Know-How moves beyond the basics to offer the problem-solving insights, imaginative short cuts, and clever tips and tricks of the trade that normally takes years of hands-on shop experience to learn. This book is for home shop machinists, industrial model and scientific instrument makers, R&D technicians, prototype designers, custom car and motorcycle builders, gunsmiths, teachers, students, and anyone who has a fundamental knowledge of machine shop practice and wants to advance to the next level. 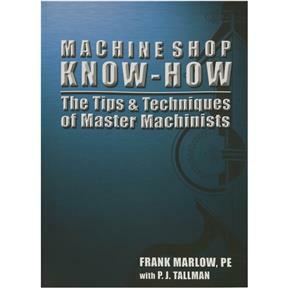 No matter your experience, this book will improve your machining skills. Machine Shop Know-How is the next best thing to interning with a master.